“Women’s Gifting Circles” or “Women Empowering Women Circles” pyramid schemes are operating in Hawaii, said Kauai Prosecuting Attorney Justin F. Kollar. A similar scam led last year to federal prison sentences for two Connecticut women. There were reports that “Women’s Circle” scheme also was operating in British Columbia in Canada. In many cases, women who are being recruited are told not to talk about the circle for various reasons, or are told that the practices are legal as long as the dollar amounts are under a certain threshold. However, violators can be subject to criminal and civil penalties under State securities laws. 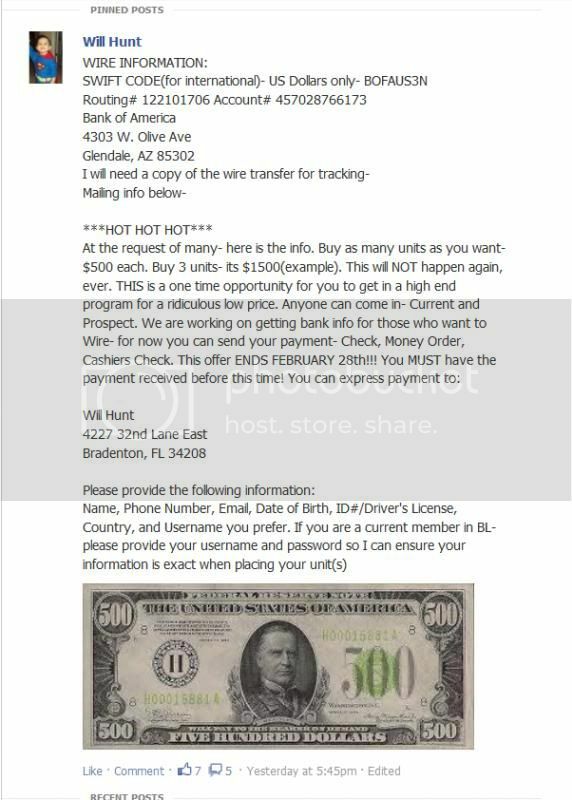 In other cash-gifting fraud news, a source told the PP Blog today that members of a cash-gifting scam known as BlessingGoldClub are trying to offload “units” in the Better-Living Global Marketing HYIP scam for $500. The units purportedly are being discounted from $1,295. 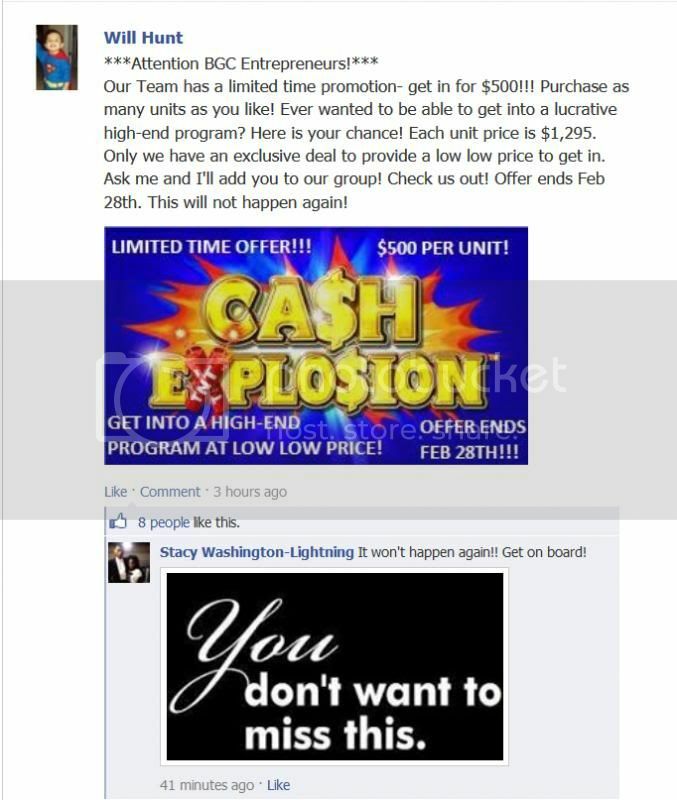 BLGM members have been fretting about not getting paid. The “program” is similar to the Zeek Rewards’ Ponzi scheme. TelexFree figure Scott Miller also has been a proponent of cash-gifting. Miller’s Facebook site for TelexFree, alleged in Brazil to be a massive pyramid scheme, appears not to have been updated since Jan. 10. I think we all know that when Ponzi participants start offering to sell their “numbers-on-a-screen” accounts at reduced prices for CASH, the Fat Lady is tuning up. Will Hunt’s generous offer to sell you the units they are holding for the low price of $500 is 38.6% off of their “regular price”, and represents a whopping, GET-ALL-YOU-CAN-BEFORE FEBRUARY 28TH DISCOUNT! of (( 61.4% )) !! !